Tilly, from A Fine Fleece. Finished. 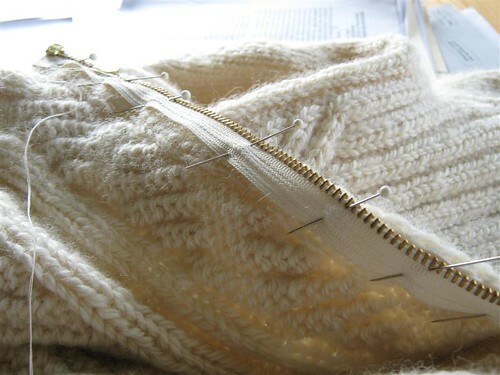 Just needs ends woven in. 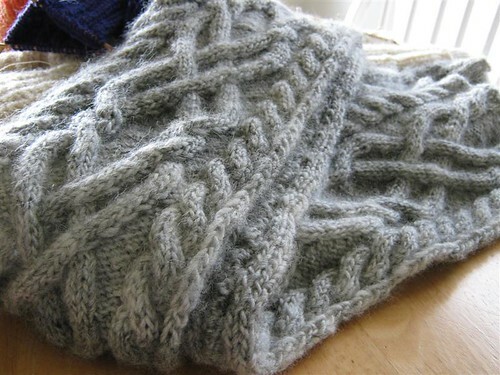 Zipper arrived, and I’d better buckle down and finish the Urban Aran before it gets really cold out. Purple Haze and Tangerine Blaze. Match made in heaven? 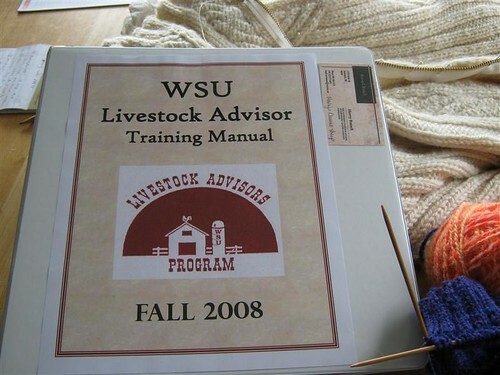 Very exciting- I’m taking the Livestock adviser class in Everett this Fall. This week was Poultry 101. Next week is Grass-fed beef. Hopefully we’ll get to sheep sometime soon. This years tree fruit crop was kind of a bust. Cold, wet spring weather didn’t help with getting things pollinated, so we’re a little light on the cherries, peaches, pears and such. Apples are coming along, but won’t be ripe until probably sometime in October. 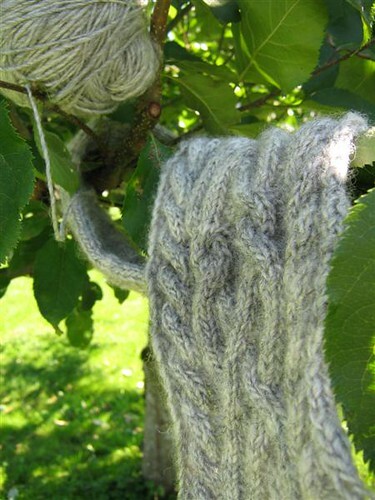 There was Ulla, up a tree, makin’ like she’s an Appletree Wool Worm or someting. 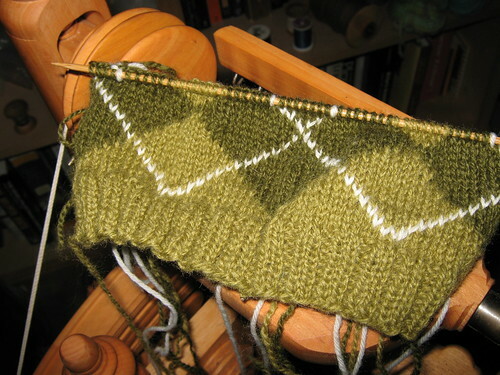 Made quite a bit of progress on the Tilly scarf this week, on account of me now being a bus-knitter. Yes, indeed. I am switching commute modes. I learned the basics of the routes involved in getting me to and fro, bought myself a pass and I’m on my way. Things have gone pretty smoothly so far. 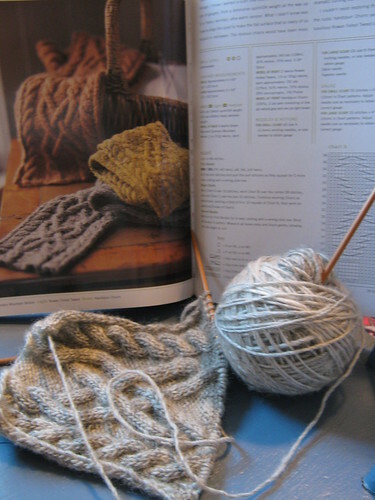 I’m saving gas, wear and tear on the vehicle, and I figure it buys me about and extra half-hour or more of knitting a day. I have a new book. And it is wonderful. 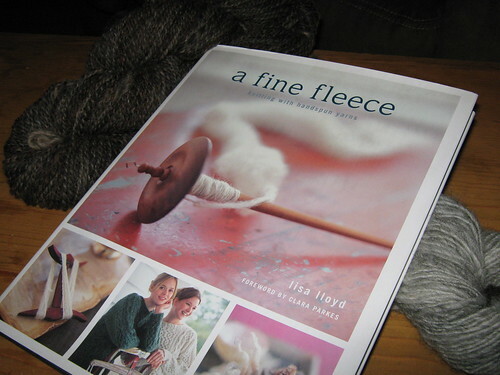 If you’re into wool, spinning, knitting, etc. I highly recommend it. 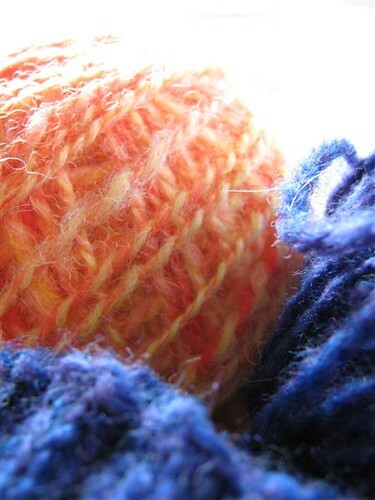 Lots of good wool-talk, beautiful photos, and really great patterns. 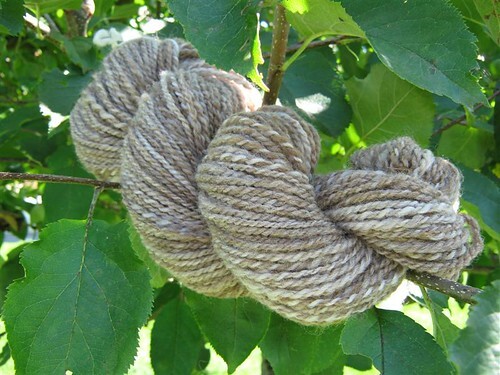 Plus, all the garments are shown in handspun and commercial yarn versions. Neat, eh? 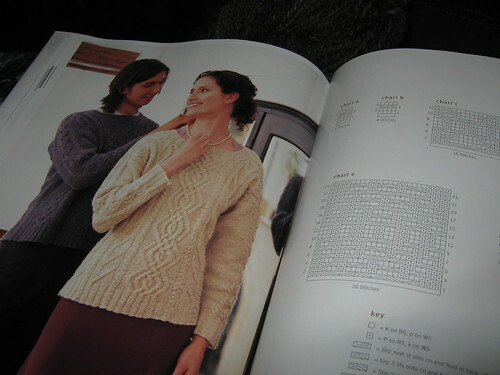 I don’t often buy knitting books because, more often than not, they have maybe one pattern in them that I would actually knit and wear. Usually doesn’t seem worth the price of admission. But Lisa Lloyd and I are on the same page. 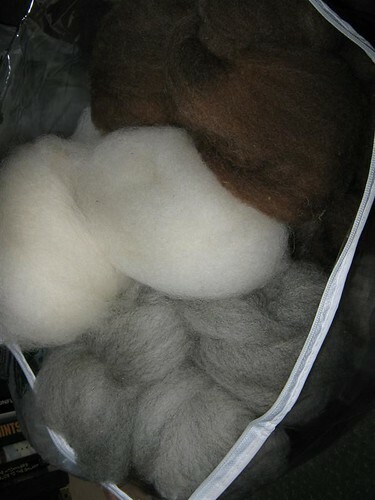 Lots of texture, classic shapes, natural wool shades. Of course, I would probably do an EZ conversion on most of her saddle shouldered garments (seems so silly to do all that sewing when you don’t have to). But other than that, it’s the book I wish I’d written. 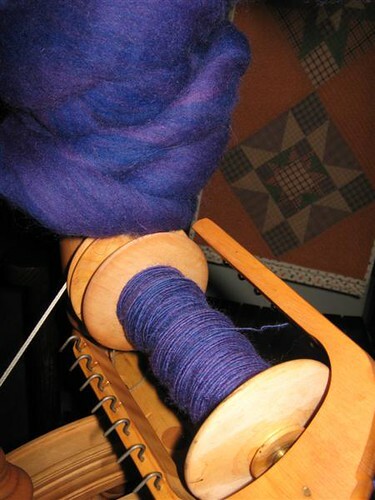 That is “Tilly” taking shape in a soft-spun single of Gershom, my Shetland ram friend from Ferndale. I think he’d be pleased.